Shari D. Smith - La Cava & Jacobson, P.A. Shari D. Smith was born in the Brooklyn, New York, but has lived in Florida since 1988. 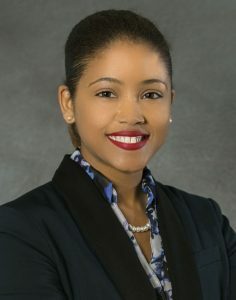 Ms. Smith earned her Bachelor of Arts degree from Florida State University in 2008 and her Juris Doctor from University of Miami School of Law in 2011. Prior to joining La Cava & Jacobson, P.A., Ms. Smith practiced with prominent Fort Lauderdale-based litigation firms defending physicians, hospitals and nursing homes. She has also defended, general liability, employment liability, and commercial and complex business litigation cases. Ms. Smith has defended cases in numerous jurisdictions in state and federal court. Ms. Smith currently focuses her practice of law on the defense of physicians, nurses, hospitals, and other health care facilities. Ms. Smith is admitted to practice law in Florida, the United States District Court: Southern District of Florida and the District of Columbia. She is also a member of the Broward County Bar Association, the TJ Reddick Bar Association and a Board Member of Mount Bethel Human Services, Inc.